To make use of good design ideas in your work, you need to organize them properly, and for this mood boards can play a vital role. Here are some of the best mood board apps, creator and makers that can make your ideas better visually without too much effort. In a real world scenario, for a designer like me uses these mood boards almost 3-4 times a day, where I can gather inspiration stuff and built upon something new and creative. Getting ideas on demand is hard. Niice is a tool to help you find that spark. Collect images without worrying about them ever showing up in a public search. What happens on Niice, stays on Niice. Niice’s focused drag & drop interface makes it easy to create stunning moodboards in minutes. A private, powerful and simple tool to help streamline the process of presenting and discussing creative work. You might heard about this app a lot, with brilliant interface and easy to create boards this app has advantage of multi-platform. Here a article to get you started with Evernote note-taking app. Probably the most popular among many of the social network users, who use it for varied interests. Another huge plus of Pinterest is you have other peoples curated work that can be very handy at times. A fantastic tool from Getty Images where you can generate ideas by mood board assisting tools. It contains the image selection tool and it works pretty well. Images and music go hand in hand. A free version of a paid app i.e Moodboard , which gives to nice interface on an iPad for adding photos from your library or the web and you can even share your moodboards with friends on social networks like Facebook and Twitter. Three simple steps to creative nirvana Search MoodShare makes it easy to find the best media online. Search and save images, videos, sounds, colours, fonts and twitter – all from a single query. Then effortlessly create multi-media boards in the cloud, twice as fast as on your desktop. Get feedback and iterate in real-time with your team and/or your client. 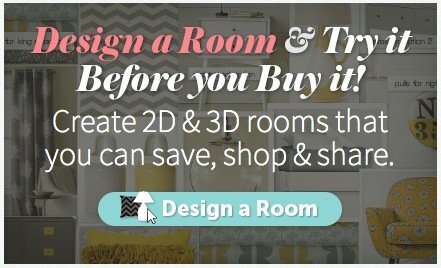 Design a Room and try it before you buy it! Create rooms that you can save, shop, and share. Don’t bookmark the web. Save it. Gimme Bar doesn’t just keep bookmarks; it stores items in your personal library in the cloud. You can even back things up to Dropbox. Organize Your Stuff Take the content that you’ve been saving and tell a story about yourself or the world. Gimme Bar collections make great Wishlists, Favorites, Inspiration, Research. Visual Collaboration for Creative People, it collect information in one place so that you could organize thoughts, but also to share what was going inside your head with team in a space where they could give feedback and it could get things moving. Pattern Tap is all about, collecting specific designs and patterns of user interaction. It’s a living classroom, where designers learn what is working well on the web and why. Sample board is an online, digital mood board editor for the creative industries. Here people from around the world create and share mood boards, discuss design and get inspired by each other. So, did you like the post? Do you use any of these mood boards? Tell us which one did you like the most, we would love to hear your ideas.